Back in the 90’s when Veggie Girl and I were still working for the same company, our lady boss, one day decided to take her employees to dinner. What the occasion was, I can no longer remember. The restaurant was Il Fornaio in Old Town Pasadena. While the exact name of the dish I ordered escapes me, I know it was tender slices of beef cooked in balsamic vinegar. 1. 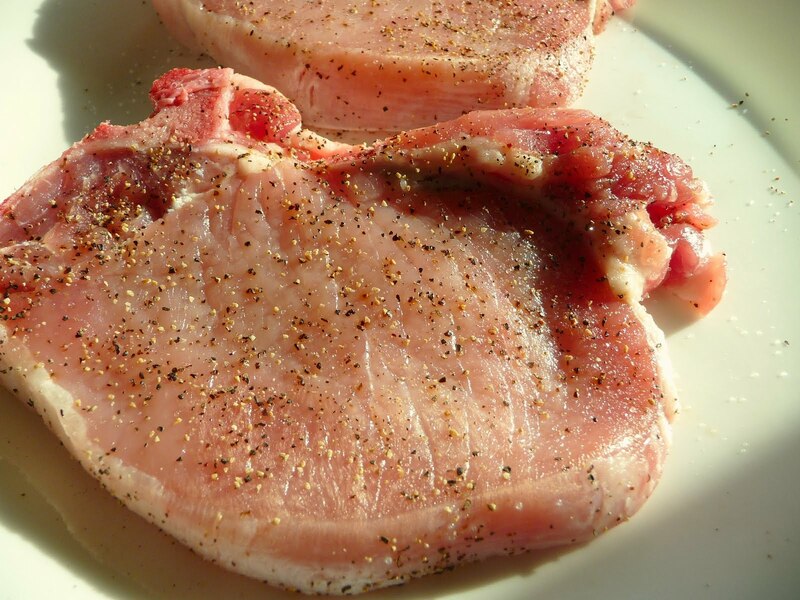 Wash the pork chops and pat dry with paper towels. Lightly pepper the chops on both sides. Let stand for at least 10 minutes, then lightly salt the chops on both sides and let stand again for another 10 minutes. Place the chops in a marinating dish. 2. Combine the rest of the ingredients and pour over the chops. 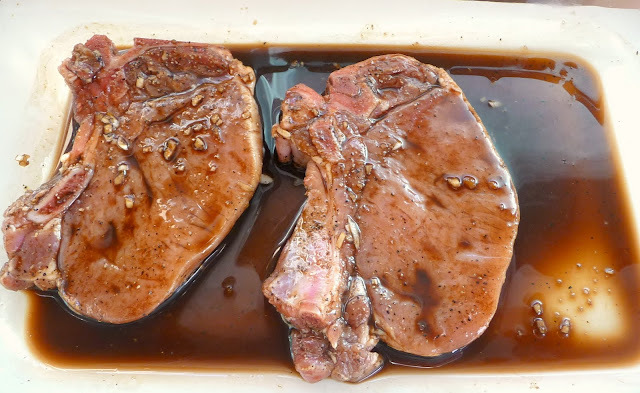 Marinate for at least 15 minutes on each side. 3. Fry the chops in oil. Set aside the chops. 4. Using the same pan, pour the marinade into the pan. Turn up the heat to high until the marinade thickens to a sauce. Pour the sauce over the chops. Serve immediately with veggies and mash potatoes. 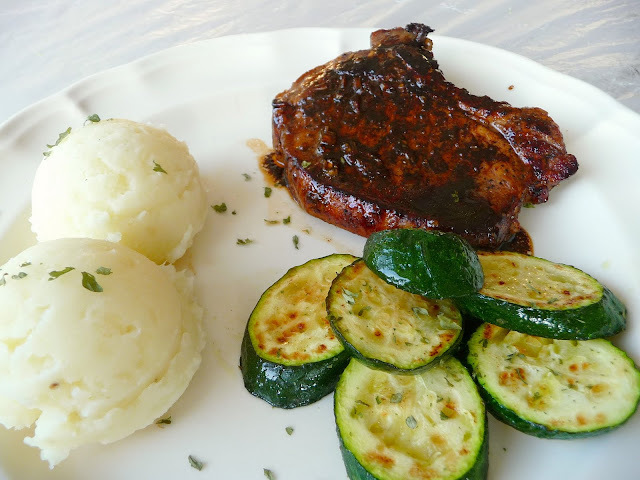 The pork chops with a light dusting of salt and pepper. Marinate the chops for at least 15 minutes on each side.